We got a little visit from the Kingdom of Fungi over in my Pinguicula moranensis pot. So small I almost didn't notice. I've had to periodically deal with mold and mildew, but this is the first of the so-called higher fungi that has graced my collection (to my knowledge). I don't really know what this means. I suspect it will be mostly harmless. It sure is cute though. Hi there you handsome fella. 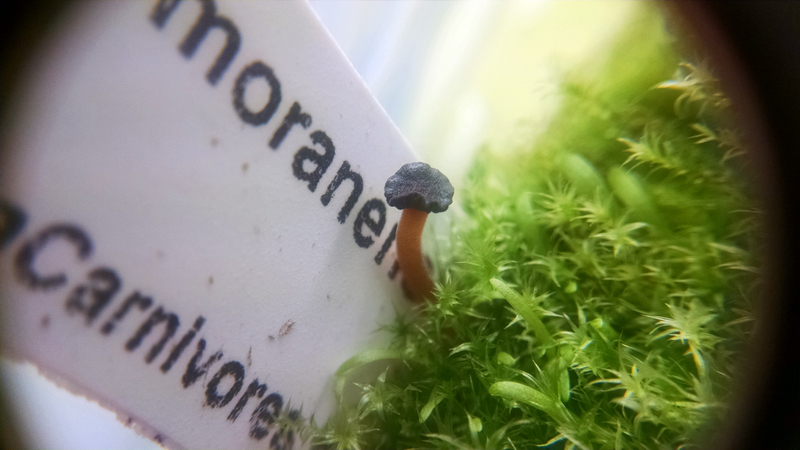 More updates as events warrant, but I suspect this little fruitbody will die back and then I'll forget there was is a mushroom in this pot. 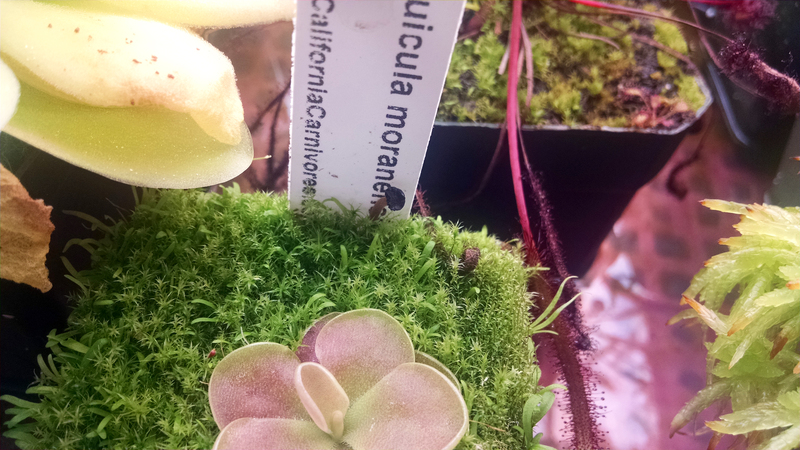 If my P. moranensis suddenly dies for no reason though I'll have a handy scapegoat. Mushrooms were a very early interest of mine, and I've often thought about getting back into their cultivation and study. It's cool to see a little one pop up among my carnivores.